At the weekend I attended a booksale of Judaica, and included among my purchases a paperback entitled Al-Yahud: Eternal Islamic Enmity & The Jews, by Elias Al-Maqdisi and Sam Solomon. It distills, in simple form, the often blood-curdling antisemitism inherent in Islam and the Muslim tradition. Needless to say, it makes frightening and depressing reading. So it's good to be reminded that there are Muslims out there (though woefully too few) who disavow Jew-hatred and even speak up forcefully for the right of Israel to exist, denying the "apartheid state" libel. “When people say that anti-Semitism exists in the Muslim world because of Israel, that is simply an excuse. 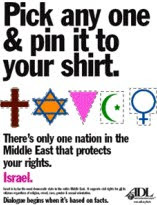 People here [in Israel] get Islamic anti-Semitism. In Europe, we deny it. Both men were panel speakers at the Global Forum for Combating Anti-Semitism held this week in Jerusalem. My previous post (with video) refers to the hypocrisy inherent in the call for UEFA to cancel Israel's hosting next month of the under-21s tournament. 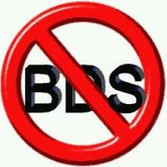 "it’s now time to cut ties with Israeli places of learning, whether they be based around student exchanges or research." "This [Israeli] army contributes, via its actions to denying Palestinians access to knowledge and the policy of occupation, the Gaza blockade and colonization hamper internal mobility and also that of the student and academic population." And last week, the governing general council of the two-million strong United Church of Canada, that country's largest Protestant church, endorsed the initiation of a boycott campaign, against Ahava, Keter Plastic, and SodaStream. 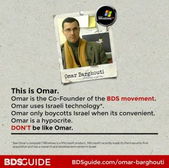 But, as reported here, the Centre for Israel and Jewish Affairs (CIJA), which is calling for a "buycott" of the targeted companies in order to benefit "Israeli and Palestinian workers alike," points out that SodaStream provides employment to "hundreds" of Palestinian workers. "Israel is an abnormal country. It's a country that depends for its existence on violence and cruelty and repression," So claims Alexei Sayle, lending his weight to demands that Israel should not be allowed to host the UEFA under-21 championship tournament next month. Ironically, the Jewish comedian was speaking to a reporter from Press TV, propaganda channel of the cruel, violent and repressive Iranian regime. 'Firstly, the reason Israel plays in European football tournaments is that, long before the 1967 war and the subsequent "occupation", Arab and some Asian countries refused to play Israel at any level. Secondly, if countries were stopped from hosting tournaments because of their human rights records, we'd probably have to hold the World Cup etc in Luxembourg every four years! "They Would Prefer To Betray Their Country Than Be Labelled Racist": Paul Weston On Britain's "Treacherous Politicians" & A Media In "Denial"
Still, for all Condell's bluster, I think this recent article by Melanie Phillips is hard to top. And see this re the BBC's woeful stance. "Palestine: Beware The Snake Oil Salesman," warns Sydney lawyer and international affairs analyst David Singer. 'Paul Larudee – one of the founders of the Free Gaza and Free Palestine Movements and an organizer in the International Solidarity Movement – has made some incredibly misleading statements in his latest article “The Palestine Liberation Movement is not about Anti- Semitism” – published in Dissident Voice on 23 May. Having studied linguistics and earned a PhD, Larudee should be the first person to understand that the written language is one of the prime means of communication between humans and requires precision in its use to avoid ambiguity and misunderstanding. Larudee has in his choice of words created a false and misleading impression of the Palestinian cause that bears no relationship to the conflict between Jews and Arabs that has remained unresolved for the last 130 years in relation to the former territory called Palestine. 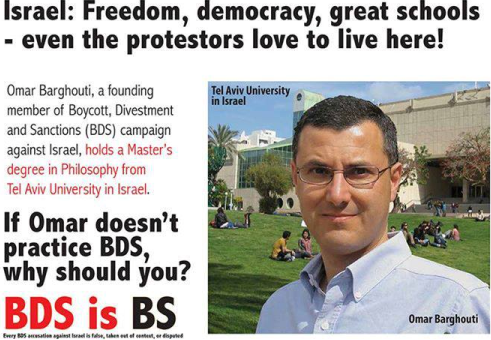 “The Palestinian cause has nothing to do with Jews…"
Jew-hatred permeates the “Palestinian cause” – and Larudee’s attempt to whitewash this pernicious conduct is specious and false. Who is Larudee trying to fool and for what purpose? Larudee’s claim that “Palestine” belonged to the “Palestinians”, that it is their land, that they were denied the right to sovereignty and self determination and have the right to return there is not borne out by the historical record. Palestine had belonged to the Ottoman Empire for 400 years – forming a very small part of the territories lost by Turkey to the Allied Powers in World War 1. 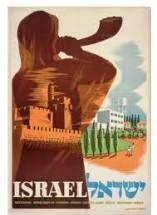 The Arabs were offered self determination and sovereignty in 99.99 per cent of such conquered territories by the Allied Powers – whilst the Jewish National Home was to be reconstituted in the biblical and ancient homeland of the Jewish people within the remaining 0.01% – then called Palestine. Indeed the territory set aside for the Jewish National Home in 1920 was to be further restricted to just one-quarter of Palestine in 1922 – whilst the remaining three-quarters was to become an exclusively Arab state that is today called Jordan. This minuscule area left for Jewish self-determination was earmarked to be further emasculated when the United Nations recommended its partition into Jewish and Arab states in 1947 – which the Arabs also rejected. 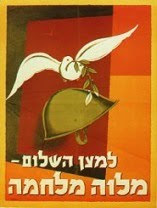 Larudee’s claim that Palestine belongs to the Palestinians underscores his support for this racist and exclusivist claim by the PLO – negating the decisions supporting Jewish claims that had been recognized by the League of Nations in 1922, the Peel Commision in 1937 and the United Nations in 1947. The PLO claim to sovereignty in all of Palestine continues to be the major obstacle to ending the conflict between Jews and Arabs. Larudee has every right to support this spurious claim – but it continues to plague the “Palestinian cause” and prolong the resolution of the long running conflict between Arabs and Jews. 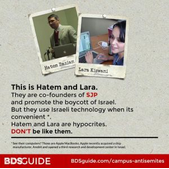 Larudee pleads to remove anti-Semitism from the discussion of Palestinian rights. He should be encouraging Hamas and the PLO to remove their overt declarations of unabashed Jew-hatred from their respective Charters as an essential first step. Hopefully the removal of these vile provisions could lead to the end of a conflict that could and should have been resolved in 1947 or in the following 20 years when sovereignty for Palestinian Arabs in Palestine was denied by their Arab brethren. 'Mobinah, a committed Muslim, switches lives with Jordane, a young Jewish woman recently returned to Australia after a year on a kibbutz in Israel. Apart from their obvious religious differences, there are strong contrasts in their communities. Mobinah's family lives in the multicultural melting pot of western Sydney, while Jordane is from the leafy, middle-class suburbs of eastern Melbourne. Mobinah's switch sees her living with Rabbi Fred and his wife for two weeks. This gives her many opportunities to experience a diverse range of ceremonies and activities, including a wedding, a christening and preparations for Passover. She embraces the experience with an open mind and heart, although she cannot be persuaded to take off her hijab. In the end she tells us that Holy Switch has made her a better Muslim. Persuaded to watch the programme by an enthusiastic friend, I was left singularly unimpressed. For this was Judaism Lite, amid a spectacle superficial. 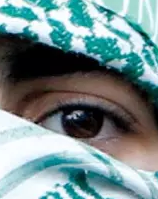 I can't imagine an Orthodox young woman wearing a sleeveless top in the household of her Muslim hosts (nor would she have a nose ring, since Judaism forbids bodily mutilation), nor, on an all-girls night in which the young, hijabbed Muslim women with her spoke of their much-guarded virginity, telling them that in her Jewish circle having a couple or so sexual partners before settling down and marrying is the commonplace thing. 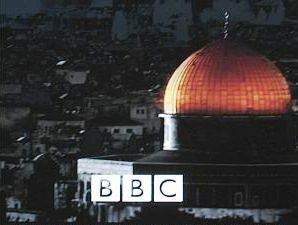 Thus the programme gave both viewers and Muslim participants an incorrect impression of Judaism and Jewish teaching. A spectacle superficial because obvious questions went unasked and unanswered. Did either young woman feel that their communities are male-centric and patriarchal? To be honest, I very much doubt whether anybody could regard Progressive Judaism in that way (indeed, some might argue that the pendulum has swung too much the other way). But the attitude of Islam towards women was the elephant in the room. 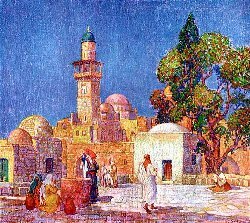 Did the young Jewish woman, used to egalitarianism in the Progressive synagogue, baulk at the segregation of women and their placement at the back of the mosque? And whereas Islam is a proselytising religion (the Jewish girl, on the expiry of her fortnight in the Muslim home/mosque/Islamic centre, was presented with a Quran by the senior male host, a genial gentleman, it must be said), Judaism is not. But a veil was tightly drawn over such things. 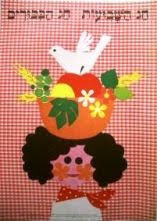 Alas, the programme was nothing more than a fuzzy feel-good filler. Do We Need An Islamic Reformation? After the terrible events in Boston (USA) and Woolwich (UK) , many Islamic organisations have united in condemning the attack. Forgive me for being cynical, but in the bad old days of the 'Troubles' in Northern Ireland, Rome and the USA would routinely condemn the SinnFein/IRA/Noraid atrocities, but the terrorists were never handed over. Islamism, radical Islam or whatever you chose to call it is the unacceptable face of Islam. There are those who call for a reformation. After all, it did a lot of good for the Christian Church (I'll deal with the antisemitism in a series I'm planning for later). For the most part, the reformers were a peaceable crew. Yes, there were some Roman Catholic martyrs and that was wrong, but a body count will prove my point. In due course, the Protestant Church abandoned force and subsequently the Roman Church has. The other denominations also followed suit. Could this be a model for Islam? I used to teach religion in schools. (Reminder to US readers, this is a UK blog). On one occasion, some 25 years ago, I taught Islam to Muslims using Islamic source material. That way, when we did Christianity, we could use the Bible and not refer to the Qur'an. They were great kids, genuinely interested in religion. 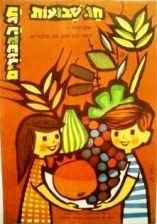 I used to have to throw them out of the classroom at the end of the lesson! They were determined to prove me wrong and used the writings of one Ahmed Deedat to try to do it. A complete failure, Deedat, his writings and their efforts. 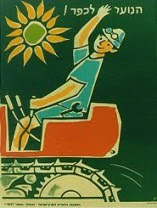 I used to plant thought bombs. Little ideas and questions that if followed through logically would completely undermine their worldview. I couldn't evangelise but I could try to make them think. As I taught the subject, I realised that a clash between Islam and the West was inevitable. Sooner or later we would have to fight, not because the West wanted to but because it's at the heart of Islam. Park that for a moment and let's look at the Protestant Reformation. The Reformation, was a back to the Bible, back to basics movement. Jesus was rediscovered by the masses and the core doctrines of salvation by grace through faith in the risen, crucified Lord Jesus Christ were preached and believed. In other words, the gospel as proclaimed by Jesus and His Jewish Apostles right at the start of the Church. Now let us apply that model to other faiths. It doesn't work for Hinduism as there is no agreed founder and a massive set of writings. In Buddhism, you will discover that Siddartha Gotama wasn't really interested in this world or God. Sikhism, which is a lot like Judaism, takes you back to a peaceable founder and a reasonable ethic, but no clear plan of salvation. 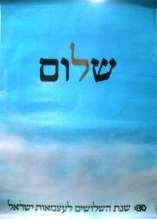 Judaism takes you back to Moses, to the Torah and the Tenach, to God's clear commandments and the hope of the Messiah. Islam takes you back to Mohammad, the Qur'an and the unknowable Allah. Hinduism - no deal. Buddhism - traumatised youth leaves his wife and family and gets enlightenment after nearly starving to death. Sikhism - Guru Nanak, a good man and peaceable. I wish he had encountered Jesus. Judaism - Moses. The meekest man who ever lived.God's friend. Christianity - Jesus. See also Who killed Jesus? Murder or Suicide? Islam - Mohammed. Go and read their own accounts. A Reformation, in Islam, would be a back to basics, back to the Qur'an, back to following the example of Mohammed. 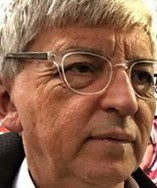 A current op-ed by Italian journalist Giulio Meotti has much to recommend it, a fact reflected by the irritation it is causing to Christian Israel-haters (you can probably hazard a guess at a name or two) who appear to love Muslims and Islam as much as they appear to dislike Jews and Judaism and who are expressing their annoyance on social media. Palestinian Christians have manipulated Western public opinion so well that on the very rare occasion that Western media do cover the real plight of Christians in the Palestinian Authority areas, it is only to denounce Israel and its barrier or checkpoints. Last year veteran CBS News anchor Bob Simon reported on the Palestinian Arab Christians, indicting Israel’s “occupation” as responsible for their dramatic disappearance. 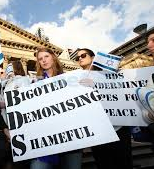 The 60 Minutes story caused Israel tremendous PR damage. As in the case of “The Stones Cry Out”, the CBS video doesn’t mention forced marriages, conversions, beatings, land thefts, fire bombings, commercial boycott, torture, kidnapping, sexual harassment, and extortion which Arab Christians suffer under the horrible PLO dictatorship. A report in 2002, based on Israeli intelligence gathered during Operatio Defensive Shield, explained that “Arafat’s intelligence network intimidated the Christian population in Bethlehem. They extorted money from them, confiscated land and property and left them to the mercy of street gangs and other criminal activity, with no protection”. Christian graves, crosses, and statues were desecrated and Christians suffered physical abuse, beatings, and Molotov attacks. 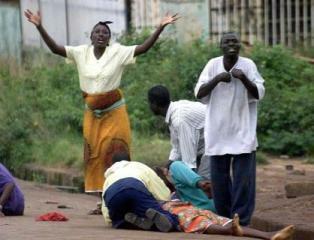 But it would be a mistake to depict these Christians as mere victims of Muslim Arab violence. 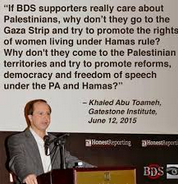 They are also guilty, since they choose to demonize Israel as the human rights violator. After the 1948 war, Christian communities suffered most in Judea, not under “Israel’s occupation”, but because Muslim refugees were settled in their midst by the corrupted PLO leadership. According to veteran journalist Danny Rubinstein, who has been writing about Palestinian Arabs for the last 46 years, “Bethlehem saw an influx of thousands of Muslim refugees from the villages in the southern part of Jerusalem, and three refugee camps were erected”. 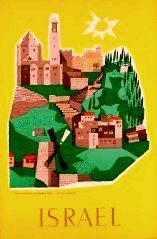 Until Palestinian terrorists turned Bethlehem into a safe haven for suicide bombers and Jews’ assassins, the Christian Arab Bethlehemites were free to enter IJerusalem, just as many Israelis visited the "little town" in Judea. The horrible Arafat gang turned Bethlehem and its holy places into the town which exported a string of deadly terror attacks into Jerusalem during the Intifada. In Beit Jala, the Christian town on the outskirts of Bethlehem, Islamic sharpshooters established their firing positions next to churches and Christian institutions and aimed. The target was the southern Jerusalem residential Jewish neighborhood of Gilo, but ultimately they also wanted to cleanse any Christians from the area. 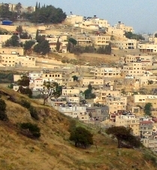 The result is that 25,000 Christians left Beit Jala and only 6,000 Christians still live in that town. The Jews have always challenged any kind of totalitarianism and today are the first in line to challenge a political Islam that wants to destroy their soul: the State of Israel. "The pretense of anti-Zionism disappears altogether in the final paragraph as the mask is ripped away and the author spews raw old-fashioned Jew-hatred." "National catastrophe is the proper description of the Palestinian plight caused by the Zionist Jewish occupation of Palestine and the creation of a terrorist state called Israel. Israel is the invention of Zionism, which is a colonial expansionist terrorist movement based on an extremist ethnocentric supremacist Judaic religious discriminative concept of God’s chosen people in God’s Promised Land. 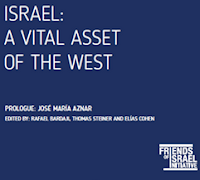 Its primary objective is the establishment of a Jewish only super power state in the heart of the Arab World to control its most needed natural resource of oil in order to control the economy of the whole world and to become the masters of the world as prescribed by their own Judaic religion. To accomplish this Zionist Jews sought to annihilate Palestinians, raze their towns, wipe off their homeland of the map, and erase their culture from history, for an independent Palestinian state negates Israel’s so-called right of existence. Zionism is just the latest Judaic façade based on Jewish ethnocentric divine superiority complex and the complete denial of the humanity and rights of all other nations; Goyims without any exception. This leaves no room for peace with such an ideology, not just with the Zionist terrorist state of Israel in Palestine but in any other place in this world. 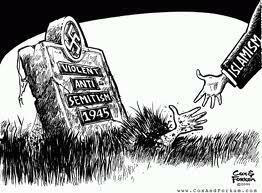 Supremacist Jews keep on planting more seeds of hatred among nations, and as in the past they will reap only hatred. 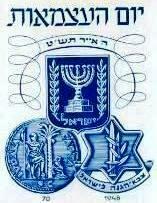 Jewish history repeats itself." 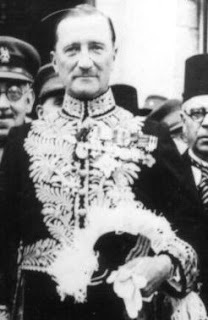 CAABU (Council for the Advancement of Arab-British Understanding), began life as an Arabist rather than a radical ratbag organisation like the Palestine Solidarity Campaign (PSC), but, with many names drawn from the top echelons of business, politics, and academia, it has been perhaps all the more dangerous for that. Nowadays, given a common purpose and despite their diffferences of emphasis and personnel, the two organisations appear to be hand-in-glove in efforts designed to undermine support for Israel among the British public: witness the ruthless targetting of British schoolchildren with anti-Israel propaganda, about which I blogged here. "We believe that the need for mutual understanding and sympathy between the people of Britain and the people of the Arab world was never more vital than at the present time. Britain and the Arabs have a long tradition of respect and friendship; they have much to admire in each other's way of life and the principles to which both people's adhere. We have sympathy for the aspirations, achievements and rights of the Arab peoples, especially the Arabs of Palestine, for whose administration Britain was responsible until 1948, and whose case must not be permitted to go by default." In the following words, Christopher Mayhew (1915-97; created a life peer as Baron Mayhew in 1981),a Labour MP until 1974, and from then a Liberal, began a speech on 27 July 1977 in a committee room at Westminster to mark the tenth anniversary of CAABU's foundation. "Those who founded CAABU, at a meeting here in the House of Commons ten years ago, took on a formidable task - to challenge the deeply held beliefs about Palestine of the overwhelming majority of the British people. An opinion poll just published by the Sunday Times had shown that only 2% of the British people supported the Arabs. 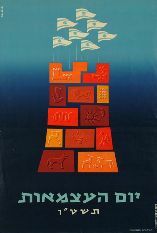 It was almost universally agreed that the 1967 war had been planned and started by the Arabs with Russian support; that the Arabs were racialists who aimed to drive the Jews into the sea; that the Palestinian refugees had left Israel in 1948 and should resettle elsewhere in the Arab world; that the refugee camps were kept in being by the Arab Governments as a political weapon against Israel; that Israel, a small country surrounded by numerous enemies, had no designs at all on Arab territory unless, reasonably enough, to secure her own security; and that, in general, after the appalling sufferings of the Jewish people, Israel was entitled, on moral, legal and historical grounds, to the wholehearted support of the civilised world. To make things worse, these opinions were shared at that time by almost all newspaper proprietors and editors, almost all the directing staff of the BBC and ITV, almost all MPs, and almost the entire publishing and film industries. "None of the founders of CAABU, I feel sure, expected to enjoy the experience of challenging the Zionist lobby ... but it was plainly a job that had to be done by someone. Moreover, there are always compensations in supporting wildly unpopular causes. To begin with, nobody joins you for a beer, so that your companions tend to be people of genuine conviction. Moreover, in a situation where everyone desperately needs mutual encouragement, personal relations tend to flourish. There have been notably few resignations or quarrels in CAABU during the past ten years. Sadly, death has removed some of our most vauled colleagues. 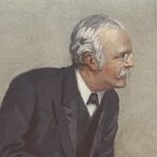 We remember, for example, Arnold Toynbee, Tom Little, Will Griffiths and Nevill Barbour." Who were the people that Mayhew specified in his speech? Calcutta-born, LSE-educated Elizabeth Collard (1911-78), a socialist and anti-colonialist, had latched onto the Arab cause following the fruition of her previous consuming passion, India's independence from Britain, and in 1957 she had founded the Middle East Economic Digest. Ian Gilmour, PC (1926-2007; succeeded to father's baronetcy 1977; created life peer as Baron Gilmour of Craigmillar, 1992), ex-Eton, Balliol, and the Grenadier Guards; he was a barrister, a Conservative MP from 1962-92, and proprietor (1954-67) of The Spectator, which he edited from 1954-59. He was Secretary of State for Defence in 1974 under Edward Heath and Lord Privy Seal, 1979-81, under Margaret Thatcher. A pro-Europe "wet" who opposed many Thatcherite policies, he was a prominent pro-Arab and from 1993-96 was president of Medical Aid for Palestinians, a post later held by another Conservative "wet," the present chairman of the BBC Trust, Chris (Lord) Patten. Colin Jackson (1921-81), a barrister by profession, was Labour MP for the West Riding constituency of Brighouse and Spenborough (1964-70 and 1974-79). One of CAABU's first actions had been to send Adams, while he was still employed by the Guardian, on a funded trip to the Middle East, from whence he sent a series of articles biased against Israel. The Guardian had printed them without explaining that they had been subsidised by Arab money. There was also a despatch from Cairo which talked of the "forcible expulsion across the burning desert of Palestinian Arabs to Gaza". In fact, those deportees were members of the Palestine Liberation Army and a threat to Israel's security, as the Guardian grudgingly acknowledged the next day. Adams also used the offensive term "final solution" to describe Israeli policy. It was shortly after this that Adams became CAABU's director. The Guardian continued to offend. In August it carried an advertisement from an Arab source that made "untrue and repulsive allegations about Israel's treatment of Arab civilians in the occupied territories" and in a report alleged the "collective shooting of civilians" by Israeli troops in the occupied territories as well as the discovery of "mass graves". Yet overall it seems that with Adams's departure, and that of leader writer Frank Edmead, the Guardian's coverage of Israel became more evenhanded - until it descended again into the travesty of truth and fair play that is its hallmark today. The BBC's Keith Kyle was not slow to identify openly with CAABU. He was a keynote speaker at one of its first major rallies. 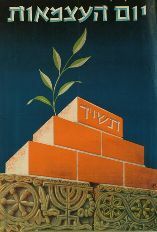 The Jewish Chronicle (29 November 1968) noted "the intense anti-Jewish feeling generated in the CAABU audience - and among some of the speakers - by the very existence of the Jewish State, referred to as the Zionist State" as well as the way pro-Israel Jewish questioners were mocked and shouted down. One of the worst features of Kyle's pro-Arab stance (apart from its infringement of the BBC Charter, of course) concerned the hijacking of an El Al aircraft at Zurich in February 1969. Through his Arab contacts he had learned of the plan, but had not disclosed the information "to avoid Israeli retaliation against it". In the same year he presented a series of programmes on the Middle East highly slanted against Israel and replete with gratuitous comments of his own. 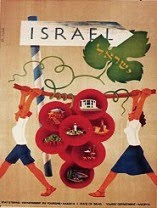 Aghast, a Jewish Chronicle columnist (9 May 1969) observed: "The casual viewer will doubtless have been fooled into believing that the Israeli occupation of Arab territories is barbaric and ruthless." And that summer, on the BBC's Panorama, Michael Adams spewed out vitriol about "nation-wide and even world-wide Jewish pressure" - in other words, a certain lobby. Hugh Norris had been married since 1965 to Cairo-born London-based clinical psychologist Fawzeya Makhlouf, a leftwing activist in the Arab cause who would vehemently decry Sadat's peace treaty with Israel. 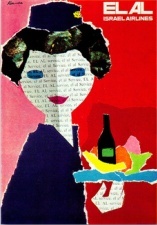 'Doreen Ingrams spent 12 years as a Senior Assistant in the Arabic Service of the BBC, where she was in charge of talks and magazine programmes, especially programmes for women. 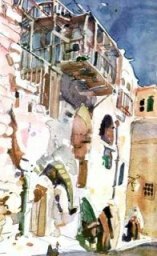 Gathering material for these, she travelled widely and after her retirement in 1967 she kept closely in touch with developments in the Arab world. (Sir; knighted 1988) Dennis Walters (1928- ), Conservative MP for Westbury (1964-92), chaired CAABU from 1970 until 1982. To push the Arab cause within his party he founded the Conservative Middle East Council in 1980 and served as it chairman for the next twelve years. He was also an office-holder on the Conservative Parliamentary Foreign Affairs Committee, chairman of the Euro-Arab Parliamentary Association and founder/director of Middle East International, a political journal that ran from 1971 to 2005.which provided news, analysis and commentary on the Middle East from 1971 until its closure in 2005. 'The Foreign Ministry confirmed yesterday that it has barred the entry to Israel of Anthony Nutting, a former British Minister of State who is now a journalist, because of "hostile" remarks he was reported to have made while visiting Arab countries. A ministry spokesman said the British Embassy in Tel Aviv was advised that Israel considered the proposed visit by Mr. Nutting undesirable. The former Conservative MP said in Amman, Jordan today that the decision to bar him from Israel showed "how arrogant the Israelis' attitude is toward anyone who criticizes them." Mr. Nutting attributed the Israeli ban to his remark that the Israel-occupied West Bank was "one large prison." adding that they "must have something terrible to hide." Nevill Barbour (1895-1972), an Oxford-educated Arabic scholar from Northern Ireland, was another CAABU activist with influence at the BBC. 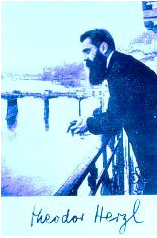 He had lived in Tangier and then Cairo for some years before moving to Palestine in the 1930s with his wife and children, acting as local correspondent for The Times, and editing the Journal of the Palestine Oriental Society. Following the outbreak of the Second World War he returned to Britain, joining the BBC in 1940 as Arabic Public Relations Officer. He launched the magazine Arabic Listener and subsequently became Assistant Head of the BBC's Eastern Service, retiring in 1956. 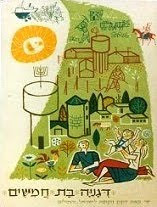 The best-known of his publications, Nisi Dominus: A Survey of the Palestine Controversy, was published by Harrap in 1946. Miss Manuela Sykes, a Liberal Party activist and would-be MP who in the 1950s had chaired the Young Liberal International Committee. Halachically a Jew, though not prone to say so! A. D. [(Sir; knighted 1973) Douglas] Dodds-Parker MP (1909-2006); was an anti-Suez Conservative MP (Banbury, 1945-59; Cheltenham, 1964-74), who was Educated at Winchester and Oxford, he was a former member of the Sudan civil service, and was an undersecretary for foreign affairs (1953-54 and 1955-1957). 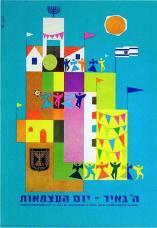 Alistair Duncan; he authored The Noble Sanctuary: Portrait of a Holy Place in Arab Jerusalem. Tom Little MBE; a journalist who authored several books on Arab countries, was director of a news agancy based in the Middle East, from where he'd also written for The Times, The Economist, and The Observer. (Sir) [Harry] Neil Marten MP (1916-85), an anti-EEC Conservative who represented Banbury from 1959-83 and held office under Margaret Thatcher; a solicitor and shipping adviser, he was, tellingly, for our purposes, he was employed by the Foreign Office from 1947-57. "Bitterness came to the surface when Mr Mayhew began to speak .... the interruptions began when he argued that it was wrong to talk in terms of racial extermination by the Arab forces .... he was almost shouted down when he went on to claim that the existence of the Palestinian refugees was the root of the crisis". If the same speech were made today, the audience, instead of shouting the speaker down, would gently fall asleep." 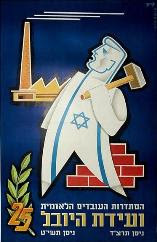 "I cannot resist giving a rather colourful and clearcut example of the collapse of a Zionist myth. 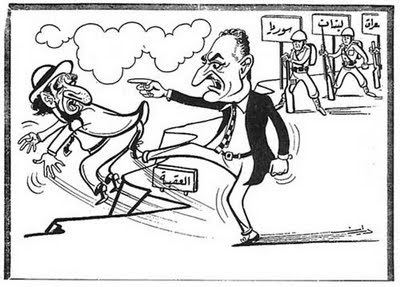 At the time of the June War, it was stridently asserted by Zionist propaganda, and almost universally believed in the West, that President Nasser had threatened to drive the Israelis into the sea. This belief, for which there was no evidence at all, had a powerful effect on public and parliamentary opinion at the time. Eventually [in 1973], when it was quoted against me by a Zionist MP during a television programme I was taking part in, I then and there offered to pay £5000 [about £30,000 to £50,000 in today's money] to any of the millions of viewers who could produce any evidence for Nasser's statement. Later [also 1973], in the House of Commons, I repeated the offer and broadened it to include genocidal statements by other Arab leaders. A steady trickle of letters came in from eager claimants, each one producing some blood-curdling quotation from an Arab leader, usually culled straight from some pro-Israeli publication. I replied to each claimant, explaining that the quotation was mistranslated, or wrongly attributed or invented, as the case might be, but always adding that if the claimant was not satisfied he could take me to Court, and if I lost I would pay up. Eventually one claimant [Warren Bergson: see Jewish Chronicle, 27 Feb. 1976] did take me to Court. Perhaps significantly he offered no evidence for Nasser's statement. Instead, he produced a chilling genocidal threat alleged by pro-Israelis to have been made by the then Secretary-General of the Arab League Azzam Pasha in 1948. However, when we produced the original statement in Arabic, the claimant could not deny that his English version was a flagrant and apparently deliberate mistranslation, and he immediately tried to withdraw his writ. But I refused to allow this, and on the 23rd February last year , his Counsel declared in the High Court of Justice that his client offered his apologies and acknowledged that after thorough research he had been unable to find any statement by a responsible Arab leader which could be described as genocidal. I should add that this admission by Counsel was not reported in any British newspaper, many of which had helped to propagate these slanders in the first place. 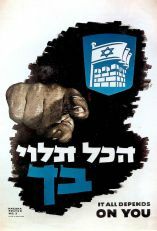 Nevertheless, since the Court case, the Israelis and pro-Israelis seem to have stopped this line of propaganda, which did a good deal after the 1967 War to blacken the Arabs' reputation and to increase tension all round. Finally, since the Court case took place after the General Election, it did not prevent enthusiastic Zionists from circulating 15,000 leaflets in the constituency I was fighting, informing the voters that I was not a man to be trusted because I was refusing to pay out £5,000 to claimants who had sent me chapter and verse for genocidal statements by Arab leaders." 'The book by Theodore Draper, Israel & World Politics [New York: Viking 1968], presents extensive quotes from Nasser's speeches in the weeks leading up to the war. 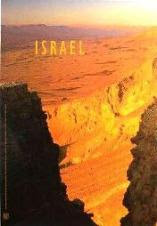 On p 222, we read: "The battle will be a general one and our basic objective will be to destroy Israel." He said this before the Central Council of International Confederation of Arab Trade Unions on 26 May 1967. I am sure that you could find additional quotes to the same effect if you read the appendices of the book. 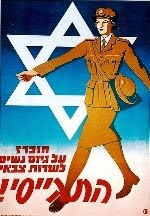 I also suggest the Israeli documentary film on the war, Six Days to Eternity. It shows a million-strong mob on the streets of Cairo deliriously calling for a war to destroy Israel, carrying skull-&-crossbones flags & banners. I don't think that Nasser threatened the Jews of Israel that they would be thrown into the sea, in 1967. However, he did make such genocide threats as did Ahmad Shukairy, shortly before the 6 Day War. 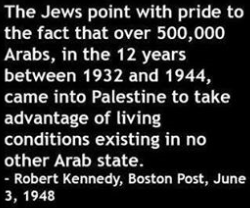 Moreover, The threat to throw the Jews into the sea was made in the 1947-1948 period by an Arab here in Israel. And this threat with the person's name is recorded in Dominique Lapierre's O Jerusalem. Dominique Lapierre had a cowriter for this book. I forget his name at the moment. But I suggest you check out that book, O Jerusalem. Abdul-Rahman Azzam Pasha did in fact threaten the Jews in Israel with "Mongol massacres" [he used the word Tartar instead of Mongol]. These words and more appeared in an interview with an Egyptian paper, [Akhbar al-Yom?] on 11 October 1947. A somewhat similar statement by Azzam appears in a book by Kenneth Bilby, New Star in the Near East, or some such title. 'If the claim is that the phrase itself never passed Nasser's lips, that's possible. If the claim is that Nasser never threatened to wage genocidal war against Israel, that's idiotic. 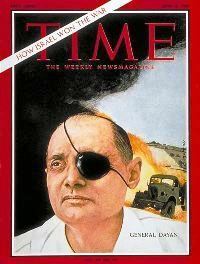 * "Israel is the greatest crime in history"
* Existence of Israel is a "stain," "a shame," "a disgrace", "a bleeding wound"
* [Quoted the communique signed jointly by Nasser and Aref in 1963]: "the aim of the Arabs is the destruction of Israel"
* "We are face-to-face with Israel. 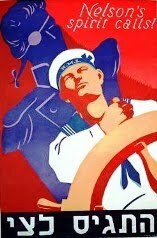 Hence-forward the situation, my gallant soldiers, is in your hands. Our armed forces have occupied Sharm el-Sheikh. We shall on no account allow the Israeli flag to pass through the Gulf of Nastier. 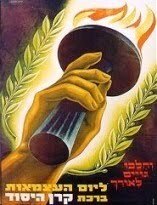 The Jews threaten to make war. I reply, 'ahlan wasahlan,' welcome. We are ready for war: this water is ours." 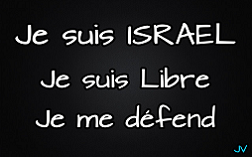 * "Today we tell the Israelis we are facing you in the battle and are burning with the desire for it to begin. This will make the world realize what the Arabs are and what Israel is"
* [About Nasser and Hussein conspiring on an open line to blame the US for attacking them, risking global nuclear war in the process; note that 'destruction' is a quote]: "... as the victims of Great Power aggression than as having suffered defeat by the despised Jews whose 'destruction' Nasser had been predicting with a loud voice"
'.... Western academia and the media—they who are largely responsible for the Western epistemology—have maintained that the colonial era is the root of all Muslim anger and grievance (and hence violence and intolerance). During the colonial and post-colonial era—roughly from 1850 to 1950—most Muslims were very Westward looking and “Muslim” in name only. The reason for this is simple: Islam is the quintessential religion of “might makes right,” and its mission was always proved to Muslims as they defeated infidels on the battlefield. However, with the dominance of the West, Muslims began to respect and emulate the West. As Osama bin Laden said, people by nature favor the strong horse. But with the Western culture of the 1960s and afterwards—when the West became self-loathing, morally and sexually licentious, materialistic, etc.—Muslims, disillusioned, turned back to Islam and its “way” (Sharia simply means way, i.e., Islam’s way of doing things). It’s no coincidence that the 1979 Islamic Revolution of Iran followed on the heels on the liberalization of the West in the ‘70s.